Maybe a wicked cold winter will kill of some Lyme's, Asian Beetles and a few other unwelcome "intruders". Random's post reminded me that stats are like a bikini. They reveal enough to be interesting but they hide the essentials. Your bucket also freezes a lot faster when it's cold out. The earth isn't using the arctic ice cap as a cooling reserve, the ice cap is a reflection of temperatures, particularly in the northern most part of the northern hemisphere. Look what a late winter and cool summer has done. What would 3 years of extreme (yet statistically possible!) cold do to the ice caps (Hint: see 1979)? I am firmly of the opinion that cold weather is coming, "or above the mean reversion" as the scientists apparantly like to use. We won't see the anomalously cold weather that we saw in 1977-1979 that created these impressive global warming statistics, but real winter is coming! Ya know, if the planet does enter into say, a 10-20 year cooling period and the temps drop significantly there will be some very serious consequences for human-kind. It is difficult to grow food when it's cold out. Famine, disease, pestilence and massive social upheaval on scales never before imagined or experienced would be a best-case scenario. "It will be a chilly day for Willy when the mercury goes down". We've joked about the Mycenean warming period but remember throughout history fluctuation in the environment is the primary cause of social upheaval and the collapse of civilizations. Followed closely by religion, but I digress. We have abundant food, plentiful natural resources and a diverse relatively peaceful coexisting society, what could possibly go wrong? This graph illustrates the cycles since the end of the little ice age and also "predicts" a downward reversion to the mean. Perhaps this is what the article is refering to. If you think you can predict the change in the climate then I'd say get your lottery ticket now, you must have some sort of psychic ability. Actually,disease and pestilence would be more abundant in warming than in cooling. My culture considers winter a "healing season" because it kills many of the bad things. Not talking about winter. Thinking of daytime highs of 40 in July. Perhaps the most famous pandemic of all time is the Black Death. It broke out in Crimea in 1346 and soon spread across Europe. The Black Death broke out at the worst possible time. In the early 14th century the climate of the earth was growing colder. This Global cooling was disastrous. It brought famine and poverty and the population was falling even before the plague struck. However it was decimated by the Black Death. The cool, wet weather supposedly is what resulted in the plague gaining traction so swiftly. Crowding didn't help nor did the fact that hygiene was non-existent back then either. The Paleocene–Eocene Thermal Maximum took 20,000 years to change the climate by 6 degrees. 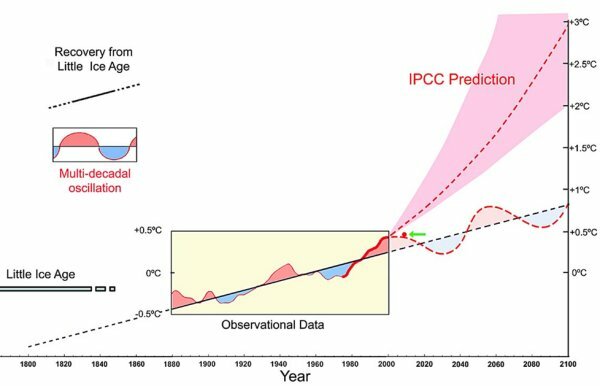 Climate scientists are predicting that level of change in a century or two. 20,000 years is enough time for entire biomes to shift thousands of miles. It's enough time for plant species to spread into new areas and be extirpated from other areas. And even then many species went extinct (although not enough to call it a true mass extinction). It's slow enough for new species to evolve to adapt to new niches. A few decades, or centuries even, (which is what we're dealing with now) is not nearly enough time for those very slow range shifts and evolutionary adaptations to occur. I posted that article in regards to the massive extinctions involved in that epic climate change event. Regardless, if you [cherry pick] extrapolate a tiny piece of data a.k.a. the weather change from 1979-2012 and apply it forward you will get absurd predictions. Being relatively inexperienced at science perhaps this case is different but it reminds me of the dot.com bubble. Sure it's high priced base on p/e or p/s (or the famous p/ebitda) but if you extrapolate revenue growth over the last 10 years and apply it forward 100 years, the stock is cheap. The dot.com reference is a good hint as to what's really going on here. Here's another hint: "Follow the money." I agree that the choice of 1979-2012 seems somewhat arbitrary, but they use 1979 because that's when NOAA satellites first began carrying climate observation instruments that could measure things like ice extent and thickness, as well as atmospheric temperatures on a global scale. It's not cherry picking, it's actually an attempt to use as much data as there is available. Here's another pretty comprehensive page with lots of nifty data. When all is said and done this will rival the Tulip mania. As I see it on one side you have fossil fuels and on the other side you have alternative energy sources. With fossil fuels you get mercury, acid rain, pit mining, mountain topping, water pollution, air pollution, etc. On the other side you have some resource extraction issues. Look at those two lists. If you don't see a problem with our current energy supply I don't know what to say. Also it is important to note that the early sea ice extent means nearly nothing, because much of the ice in the Arctic is thousands of years old and very thick, compared to the thin year old ice. Ice volume is a much more accurate measure of ice cap health. This totally ignores the FACT that we are looking at faster sea level rise, temperature rise, and ice withdraw than any measurable time in the history of Earth. Its very hard to realize the length of geologic time versus the length of human time. to would take 1000s generations to live from the beginning to the end of other "sudden" geologic events (ie mass extinctions) and were seeing them in 10. As far as I know, we have NO specific data with any certainty that can prove this 'sudden' change in temperature has not happened hundreds, if not thousands of times before. Our certainty for anything in the past in on orders of thousands of years usually, maybe hundreds in some cases. We are talking about a total span of recorded data of about 120 years. How, in any way, can we be sure about this trend? There is insufficient data and as I will reiterate, NO MODEL, which can predict weather or climate change on any scale with any deal of precision. It isn't the fault of science. Science only acts to come up with models or explanations based on observation. The observation period is too short for any real TRUTH to be drawn about what will happen in the next 120 years. I'm done arguing about it - it won't change anything because the REAL money-grubbers in the fossil-fuel industry are so entrenched that they own our government. But I'll say this - I'm glad I got to see some of this country's greatest national treasures before "the job creators" screw it all up for short-term profit - Glacier while there are still glaciers and the Grand Canyon before mining interests win their sought-after concessions, as but two examples. I'm also glad I don't have kids, because I won't be the one explaining why we saw all this destruction coming and not only did nothing, we shouted-down, marginalized, and tried to destroy the reputations of the scientists who tried to warn us. We've had a cooler-than-normal summer here in Kentucky, and that's great, but I'll bet my next paycheck that come December 31st 2013 will go down as another one of the warmer years on record, globally. I hear ya, whenever I have to explain to my daughter how The "Dinos" died I blame global warming scientists for not warning them soon enough. Isn't the mining in the Grand Canyon for uranium? While I would love to live without energy I don't see how we can all become Amish, but I certainly respect those that do. Any solution needs to balance a lot of factors, with conservation being the key. Right now natural gas is being touted as the answer but with no new nukes and the death of coal the government is setting us up for a natural gas disaster when there isn't enough for heating and electricity, without even considering the environmental hazards associated which hydraulic fracturing. It would be great if the 30+ billion in taxpayer money created a viable renewable solution but its not even close. I'm done arguing it for the same reason you describe in your first sentence as it pertains to climate scientists.